Book a skilled lawn pro in Alamo Heights. Backed by a total satisfaction guarantee and amazing customer support. 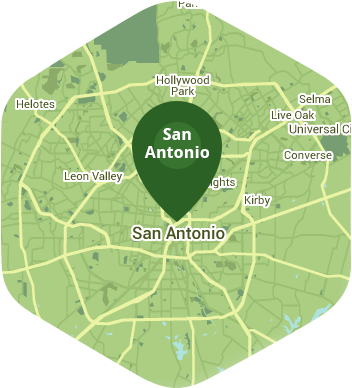 Right in the middle of San Antonio is your community of Alamo Heights. You may be surrounded by a large metropolitan city, but in Alamo Heights, it still manages to feel like a small community. Whether you enjoy movie nights in the Heights or venturing into downtown San Antonio for entertainment or shopping, the last thing you want to do is lawn care and maintenance. Your free time should be spent doing the things you enjoy, and that's why Lawn Love is here. Lawn Love is a full-service lawn care company that is fully bonded and insured. Our skilled and experienced lawn care technicians can use their expertise to help you create and maintain a lawn that will be the envy of the neighborhood and a place you are proud to call home. We will happily take care of all your lawn's needs, from weeding and seeding to mowing and even aerating. To get started simply call Lawn Love today at 210-802-4223 and take advantage of our free, fast and easy two-minute quote and see how far a little Lawn Love can go! Rated 4.76 / 5 stars in 7,296 Alamo Heights customer reviews. There won't be any rain in Alamo Heights today, which means you'll probably have to water your lawn. Dusk and dawn are the best times to water your lawn (the sun will rise at 7:02 AM and set at 8:03 PM today in Alamo Heights). Here are some average lawn care prices for homes in Alamo Heights. Average lawn size 4,756 sq. ft.